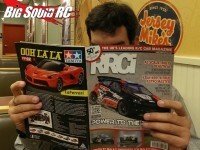 eFest « Big Squid RC – RC Car and Truck News, Reviews, Videos, and More! You are browsing the "eFest" tag archive. Hobbico just posted a great video covering highlights from the eFest 2013 show. If you watch closely, you will even see a small cameo by yours truly.Click this link for all of the Big Squid RC eFest News. We are at eFest 2013! We will be running live cams, posting booth pictures, flying, crashing, and all sorts of stuff! If you are in the Champaign IL area, come by and say hello, grab some stickers, and hang out! Click this link for all of the eFest News you can use from Big Squid RC.